Many of you are asking us to update the old History posts but unfortunately we don't have adm. powers to update M_Themis posts. I will update her History post with a new post, ok? The 16th collection was released on 4 April 2013 and it has some items inspired by Dior Spring 2013, DSQUARED2 Spring 2013, Chanel Spring 2013, Lanvin Spring 2013, LV Spring/Summer 2013 and some others. Another fact about this collection is that the accessories were released only few time after the store was released. The 19th collection was released on 24 January 2014. This was the longest waiting ever for a LE release, we stayed here at USD waiting for the release for the whole morning and afternoon (Brazilian time), it was a crazy day, USD crashed with so many comments and people online at the same time, at one point we had more than 2000 users together online here, thanks God, M_Themis was here so that she solved the problem with the site and she was able to post the spoilers and the store as none of us, the writers, could get into our blogger to post anything. 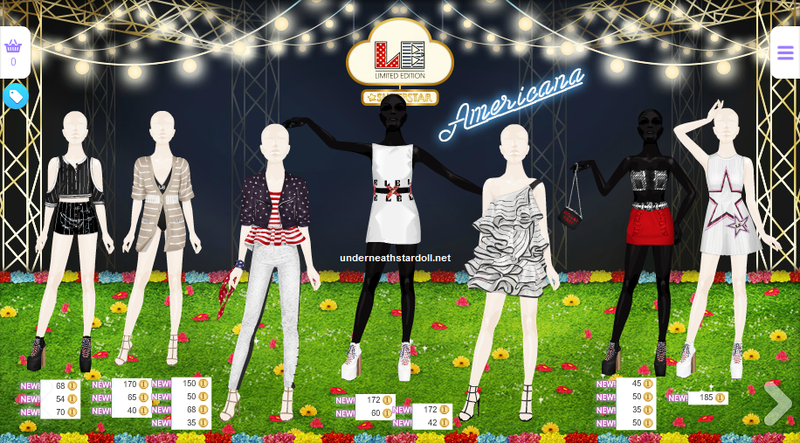 We think that Stardoll may have had a technical problem because the spoilers were released too late at Swedish time, when people from their staff should already had gone home, and the front page already showed us that LE was at Plaza and we even received the dollmail saying it was released but it wasn't yet, so we still had to wait long hours to the spoilers come out and then to the store be released. 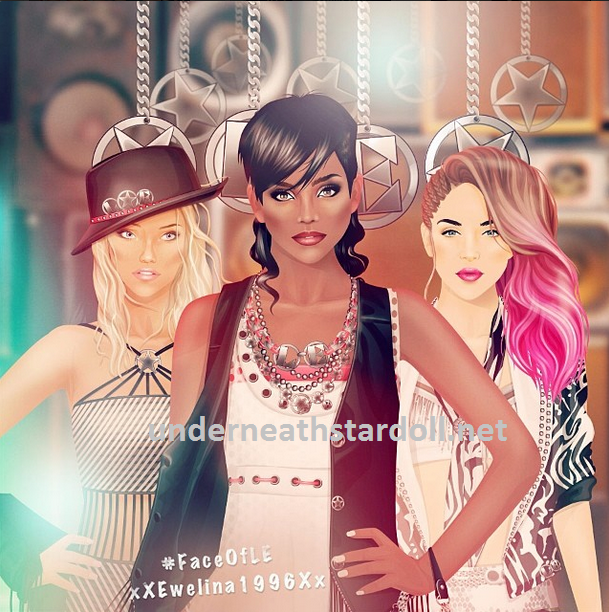 The 21st collection was released on 25 July 2014 and we had a contest for the FACE OF LE which was won by xXEwelina1996Xx and she was the Face on the LE advertises. 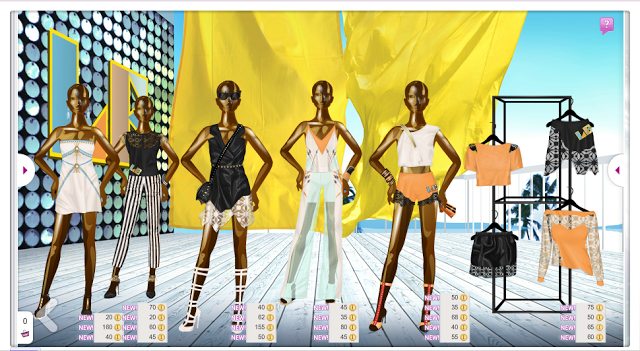 In this collection, there are items inspired by Diesel Black Gold S/S 2014 RTW, Céline Spring 2014 RTW, Rodarte S/S 2014 RTW, Givenchy Spring 2014 RTW and others. The 24th collection (Spring 2015) has been released on 22 May 2015 and it has items inspired by Alberta Ferreti S/S2015 RTW, Chloé Spring 2015 RTW, Valentin Yudashkin Spring/Summer 2015 RTW, Chanel Spring/Summer 2015 Couture, Altuzarra Spring 2015 RTW, Givenchy Spring/Summer 2015 RTW, Michael Kors Spring 2015 RTW and others. The collection is full of florals (obviously), lace, pastel color, transparency. It is, in my opinion, a good collection. The 25th collection, called "Americana" has been released on 14 August 2015 and it has items inspired by Chanel Spring/Summer 2015 RTW, Marc Jacobs S/S 2015 RTW, Versace Spring/Summer 2015 RTW, Tommy Hilfiger Spring/Summer 2015 RTW and others. Lots of stripes and stars in the pieces and many of them have transparency. The interiors are inspired by Tommy Hilfiger S/S 2015 catwalk. 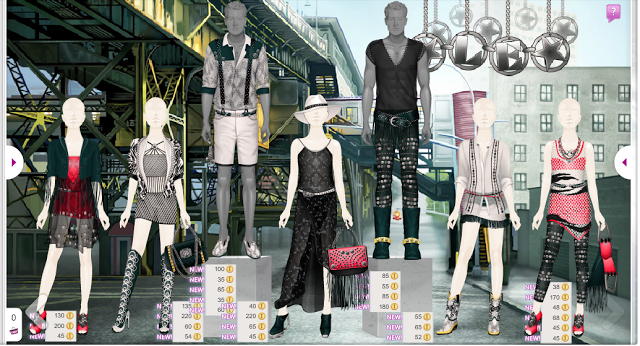 And these are all the LE fashion collections until now.